It is a legal requirement that all Gas and Oil installations are carried out by a registered competent person. For Gas that means using a Gas Safe Registered Engineer, and for Oil an Oftec registered engineer. Please follow the links bellow to connect to these organisations where you will find lists of engineers in your area. Installers recommended by Manufacturers – How Much do Replacement Combi Boilers Fitted Cost? All the manufacturers have lists of recommended engineers; these are companies that have reached the level required by the manufacturers. Requirements vary, but as an example Worcester Bosch accredited installers have attended additional training to install Worcester products to the highest standard. These engineers may also be able to offer extensions to the standard warranty offered, this can provide cover for up to 5 years. What is the purpose of the boiler scrappage scheme? The UK has one of the most ambitious CO2 emission reduction targets in the world. The installation of an efficient heating system is an effective way of reducing household energy bills and CO2 emissions, as domestic heating accounts for 14 per cent of the UK’s CO2 emissions. There are currently around three and a half million homes in England with the very least efficient type of boiler (G-rated or worse). 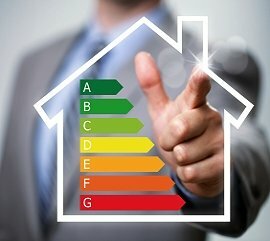 To address this the Government is offering up to 125,000 households £400 towards the cost of upgrading their boiler (if G-rated or equivalent or worse) to a high efficiency A-rated one or a renewable heating technology. This will help to save in the region of 140,000tCO2 per year – equivalent to taking 45,000 cars off the road. What are the benefits in upgrading your boiler? New boilers have rated efficiency of 90 per cent or more meaning that they use less fuel, resulting in lower CO2 emissions and running costs. Renewable heat technologies do not use fossil fuels, reducing CO2 emissions still further. For example, this means by upgrading your G-rated boiler to an A-rated one, your household heating bill should drop by about a quarter – a saving, on average, of around £235 a year. For more information, or to apply for the boiler scrappage scheme please see https://www.localboilerquotes.co.uk/. You can still purchase direct from us and arrange for a local engineer to fit the boiler. This way you benefit from both the grant and our low boiler prices.